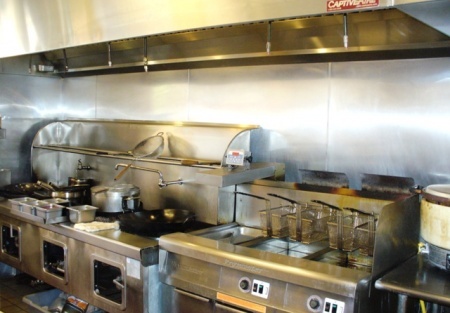 Here's a opportunity to purchase a " Restaurant " for sale in the greater Sacramento area ! Nicely built-out and is of franchise quality at a fraction of the cost to build one. This restaurant is setup nicely with all the amenities necessary to operate the current concept or the concept you've already developed. This would also be a quick way to add alocation to your current business or additional Franchise units at pennies on the dollar! Decor: The location is Asian themed "Simple, Sleek and Clean" geared towards Dine or take out. Excellent curb appeal! Demo's: Mid and Upper income. Menu: The Concept is Quick, Fresh Chinese food at reasonable prices with a focus on Family Meals and take out. Kitchen: It comes well equipped with a Hood system, walkin cooler, woks & all the necessary equipment to operate an efficient kitchen. Lease: - $2,853 for 1,300 sqf. Sales: The owner has provided sales data for expense purposes upon request for a serious buyer. This is an asset sale as the location run at a loss due to owner not managing the day to day operations and marketing. As "Owner Operator Run" there is approx. $80K in labor .... with increased sales and "Owner operator" the picture changes dramatically. With the proper management and marketing or new concept, this could be a diamond in the rough. The seller is convinced that an experienced operator and proper focus could make this concept very successful. Restaurant is in idle mode with little to No attention to marketing and details. Obtain Beer & Wine depending on your concept. Make an offer.......... the seller is motivated! Reason for selling: The Seller does not have a restaurant background, but has a successful full time internet business he needs to focus on.....admittedly the seller does not have the time to operate the business to its highest potential. The Seller will consider All Serious offers! This is a Paramount Restaurant Brokers, inc Listing. Only $49K...but don't stop there...Seller Says Make him an Offer! Major Anchor in shopping center!